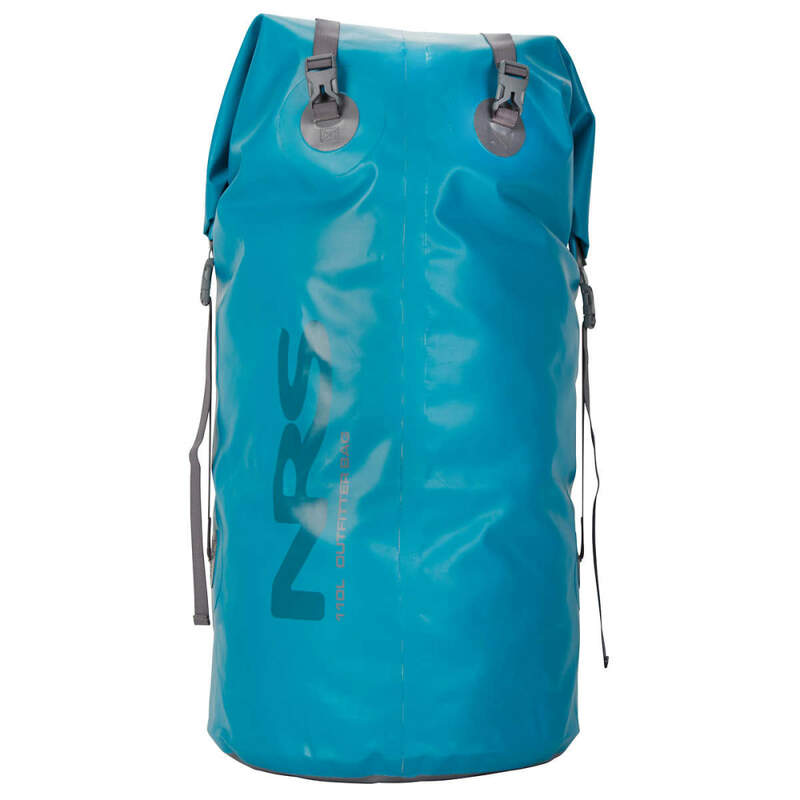 Sometimes all you need is a dry bag that's burly and big. Like a seasoned river guide, the NRS Outfitter Bag shows up every day, ready to work, no matter how much abuse it took the day before. Constructed with heavy-duty 21 oz PVC/polyester body with a reinforced bottom of 34 oz PVC, Outfitter Dry Bags are designed to deliver the rugged utility that professional guides and outfitters need. The 65L Outfitter Bag expands to over 3900 cubic inches, the 110L has over 6700 cubic inches of space and the 140L bag offers a whopping 8500 cubic inches of storage capacity. From sleeping kits to camp chairs to a week's worth of clothes, there's an Outfitter Bag to fit your needs. When less space is needed, compact and stabilize your gear by cinching down the four compression straps. Aluminum fasteners on the compression straps increase durability and eliminate busted buckles. A cushioned carry handle and padded shoulder sling make loading and unloading your gear easy and comfortable.